The Old Testament records the story of how God delivered Israel from Egypt “with a mighty hand and outstretched arm” and “great and awesome deeds” (Deuteronomy 4:34). Throughout their 40-year journey through the wilderness on the way to the Promised Land, He established reminders for them to ensure that they didn’t forget His power and the miracles that He had performed. God told them to collect stones from the riverbed, after He led them through the Jordan River on dry ground; to wear tassels on their clothes and let the hair grow on the side of their heads; to observe memorial feasts and sacrifices. He gave them these reminders not only to build up their faith, but also so that there would be something that their children would ask about…to perpetuate that faith into the next generation. Sadly, in spite of all of these reminders, the Israelites were quick to forget God’s deliverance when they were in distress—when they came under attack, when they were hungry, or when they grew weary of traveling through the desert for 40 years. As Christians, it’s important for us to have a healthy sense of history. Without that sense, it becomes too easy for us to panic and lose faith when we face difficult times. The God who delivered and established those who came before us is still alive and active today! “Jesus Christ is the same yesterday, today, and forever!” (Hebrews 13:8). 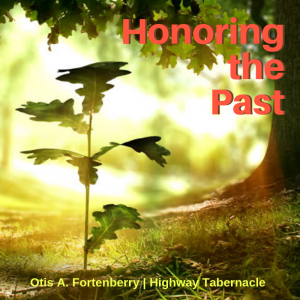 Highway Tabernacle has had a tremendous history, going back to Thanksgiving Day in 1894, when seven individuals came together hungry for a greater move of God in Philadelphia. In the 125 years since, God has shown His faithfulness by raising up pastors, missionaries, and ministries. The church has endured two world wars, the Great Depression, a devastating fire, urban flight, and urban renewal. And the light of the gospel still shines brightly through our church! You can find a brief recap of the church’s history at http://youtube.com/HighwayTabernacle. If you aren’t familiar with Highway’s history, I encourage you to check out the video and thank God for His faithfulness. It’s certain to give your faith a boost!